Before beginning my MBA pursuit at William & Mary, I lived and worked for 3 ½ years in the Dominican Republic as a Peace Corps Volunteer. During my time abroad, I collaborated with individuals from different walks of life and learned that I could live in a way I hadn’t before. One of the biggest lessons I learned from those around me, was in the form of a Dominican phrase, ‘Siempre pa’lante’. This phrase means ‘keep moving forward’, regardless of the situation or circumstances. It served as a sort of mantra for me throughout tough times while serving as a Peace Corps Volunteer – amongst failed projects and initiatives, sky-high expectations of my work performance, and constant self-critique – at the end of the day I reminded myself to always keep moving forward, no matter how difficult or uncertain the path. In the Dominican Republic, I worked to improve a struggling community-owned and operated small business. As a team we encountered tremendous challenges to keep it afloat, but we pushed on and fought for it to thrive. After 3 years, the business was able to stand on its own without the assistance of international aid or grants – this was the truest testament of our hard work. Because we persisted against all odds, we found a sustainable, positive outcome that not only changed the lives of those who ran the business, but also of the community that surrounded it. Inspired by this wide spread impact, I pivoted from my work in the field to sharpen my skills in graduate school so that I might replicate this positive impact in the United States. 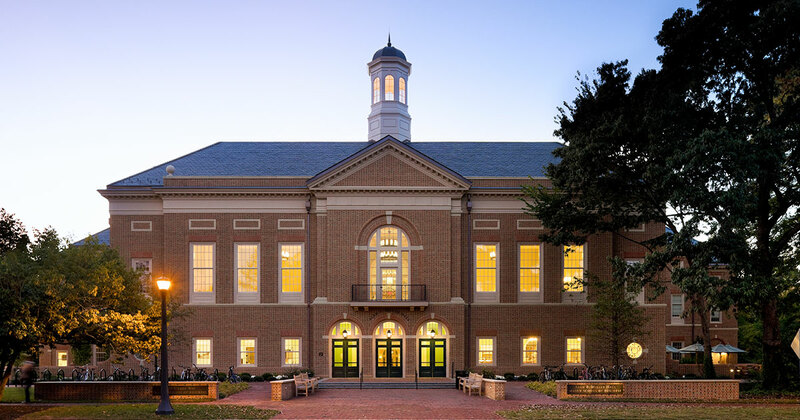 My newfound mantra ‘Siempre pa’lante’, followed me to William & Mary, as I dove into my MBA courses, balanced a 15-hour weekly volunteer commitment, searched for a summer internship, and networked amongst top business leaders. Throughout all of this, I continuously reflected on how to reach my goal of helping US business owners thrive. In the spirit of moving forward and upwards, I applied for various positions at top consulting firms across the country. Eventually, I found a fit at Deloitte LLC in Government and Public Sector consulting. As a Human Capital Consultant, I will collaborate with government agencies to help them operate more effectively and efficiently. In my opinion, this work not only helps the agencies themselves, but our nation and the civilians who call it home. While this new endeavor is a great leap from my past experience as a Peace Corps Volunteer, it most definitely keeps me on the path to making a domestic impact. Whatever challenges my budding career may bring, I will remain fearless to confront them head on as I keep moving forward - ‘Siempre pa’lante’! Class of 2019 MBA Candidate Emily Nuss, grew up in Detroit, Michigan and earned her B.S.B.A. in Business Management from Central Michigan University.